This piece of Irish dinnerware is a green glass pitcher that is enhanced with Celtic knot-work along shamrocks. 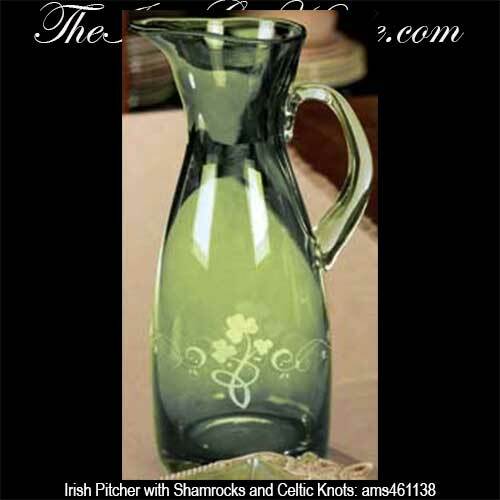 This large Irish pitcher features iridescent etched glass that is enhanced with Celtic knot-work along shamrocks. The Celtic serving pitcher measures 12 1/2" tall and it holds 68 ounces. This Irish dinnerware is gift boxed with shamrock and Celtic knot history cards that are complements of The Irish Gift House.